After a good breakfast the final day of the conference began with more breakout sessions. Maltesers mean answers: a sweeter service for students based on user feedback: Angela Horrocks & Davina Omar, Kingston University. Kingston University talked about their annual survey run every March for many years by the library with a chance to win Wii or Ipod, but maltesers for everyone. The incentive was small but drew in a good number of students. This survey is in addition to national student survey, but helps gets them in the answering frame of mind to complete the major one. The library survey fills a very important need that the NSS doesn’t cover, for both students and library services. Having a clear purpose for the survey is very important, as otherwise the risk of the students getting survey fatigue could be high. Kingston focus on how students learn and this is the U.S.P. of the survey. Knowing the paths students use to access (e.g. mboile/vle etc) is very important in shaping how and what they teach to students, something I thought was especially interesting. The silent majority (10% return on population) and so worries over accurate representation. Setting the questions → to be open and not drive students down a particular route. In terms of staffing, need to give the staff the time and the top down support to do the user survey. Have to be prepared to trust the outcome – if students make a demand clear, need to respond appropriately. Kingston suggested you might need to think about quotas – departments, levels, ages or other demographic factors that you want to achieve in returns for appropriate representation. Thinking about how/why you might want to include as many of these as you can. Early surveys (1993) very much targeted at specific user groups, thought to be especially disadvantaged or in need. Yearly surveys since early 90s allow trends and rising (and reducing) priorities for student bodies to be clearly demonstrated. This session was about buildings and architectural considerations. Tim said that library user needs strictly speaking haven’t changed in centuries, light and study space for example, just the ways in which we use technologies and building designs to accommodate them. As technology allows users to work in other places than our library spaces, we have to ensure that our spaces continue to meet their needs and make a welcoming environment they want to visit. The UCL masterplan takes the inherent problems with their historic building and tries to provide as many solutions within a limited rebuild. The key issue was space – due to earlier renovations over the years the original building space is not what it was. There is a need for positive first impression from the first moment walking through door. The building must be legible and accessible, the use signage as a sign of failure (not a point I agree with 100%). Architectural furniture and fixtures define use of areas, and are not flexible but are suitable for certain environments (e.g. where levels of privacy is desirable). However, they can be a block to interaction between different spaces. Natural light and ventilation provide an environment that can be comfortable for most people. Use technology to change way materials stored and accessed, not just treating shelving as the only answer. Even get people on roofs of buildings by building structures into the environment that surrounds them. Library as the third place (between home and work) was the theme of Andrew’s talk. Library environment and impact of the building resign on staff functions – the two are not independent and need to be considered together. Commented that many libraries today remain too conservative in their redesigns. Monopoly of information provision from libraries is now gone, and must address other approaches to provide services to users. Ambitious libraries (buildings) today seem to reflect new ways of thinking – no longer temple of knowledge to stand for generations but a right here/right now environment with more akin to the retail experience. Non-compartmentalisation of environments – books and café culture should be intertwined (e.g. like the idea stores). 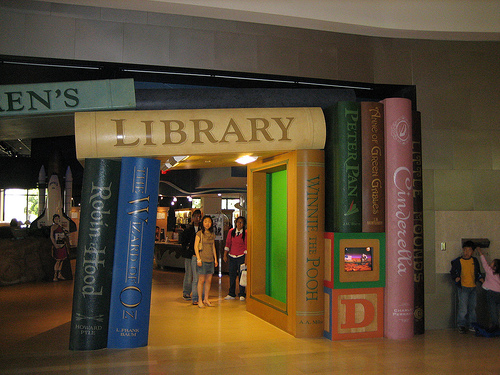 Cerritos Public Library has a books entrance way and 1.2 million visitors/year for tiny local population. Andrew talked of his distaste for elitist colour schemes (black and white starkness) much better to have welcoming colours. Very, very white buildings in 6 months need repainting (e.g. Amsterdam central library). Cultural Black Diamond in Copenhagen – no feeling coming into library, almost too far the other way as a cultural centre, but not a library at all. The most interesting part of the awards was that the news of the winners (Leeds Central Libraries) was out on twitter 30 minutes before the start of the ceremony. Andrew Motion spoke briefly too. The session was based on things they have done and have learned through trial and error. They shared with us their 7 lessons (well 5 as they over ran and the session ended before they could finish) they have learned through using Web 2 resources such as twitter, wikis, podcasting etc. They did demonstrate a very interesting mashup with Google maps, World War II bombing maps of Sunderland and eye witness accounts of the bombing. The session was mostly full of public librarians, who are it seems less clued up than HE libraries on this sort of technology and how/where it can fit into their working lives (3/4 of the audience had not even heard of twitter for example). That brought the conference to an end. It had been a packed two days, and I would have loved an extra day either before or after to more fully digest everything that had been discussed. The highs would have to include my session, the networking and the updating of information and skills in general. The lows, well the “gala” conference dinner, lack of hands on sessions and only two days for a very intensive conference. All the same I hope to be back for 2011! 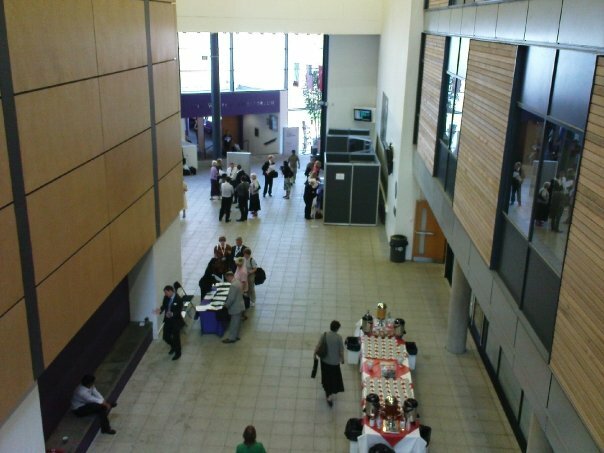 This Tuesday and Wednesday I went down to CILIP Umbrella for the biennial all UK libraries conference. I always enjoy this particular event, as it’s a real chance to meet librarians from across a board spectrum of sectors; not just HE or FE. It’s never heavily populated by HE librarians which I think is an especial shame as I’ve always benefited from the very different insights. Nearly 700 delegates were registered to attend! Umbrella has 9 parallel tracks as well as keynote sessions, which means it’s impossible for any one person to attend it all. So what follows is part 1 (or 2) of my notes of the sessions that I was in. 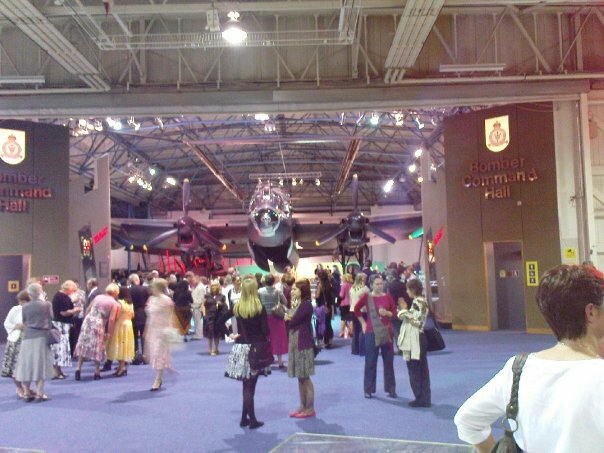 I make no claims to completeness (nor lack of bias) but I hope it gives you a flavour of the event, and maybe perhaps guides you towards attending in 2011. Tuesday morning shortly after 10am saw the conference was opened by the CILIP President and Ian Snowly. This was followed by the keynote. Charles N Brown: Not evolutionary revolutionary (plenary) from Charlotte NC. After the session I attempted to get onto wireless network, but looks like once again the Linux based netbook is excluded by HE wireless networks. Eduroam does seem to have issues with Xandros and wireless access, as this is second location I’ve had issues. Yet at Huddersfield the week before, no problems. After tea it was the breakout sessions. This session focussed on FE audiences (14-19 year olds)– looking to build up students experiences during college time, and what they can to enhance this experience. One example was taking lessons from book shops. Covered graphic novels and film tie ins as an example of engaging readers. Use reading groups or virtual groups to draw customers. ID target groups as first step. Start as a pilot, easier to start small. Requirements such as wanting users to listen to CDs may well mean new kit is needed; or possibly just more than you’ve had in the past. Also need to think about what do you do once a particular engagement or activity is over – you’ll have to store resources for example. Need to think about space and disruption to other users from activities, though at the same time can draw in passing people who might not otherwise have joined. For ESOL Reading Groups the key is to build in time for reflection in any engagement activities – which I thought was a good point, too often much of what we teach is in a deliver and move on paradigm. The speaker moved on to talk about the Six book challenge aimed at adult learners. Noted libraries can be scary for those with poor English. Be creative, build relationships, build self-esteem of students and work collaboratively with librarians in other sectors. Major USP was adaptability to users → get involved by making sure the sessions were available at times and locations to suit as many people as possible. Summer 2006 was the pilot scheme – welcome new users in informally and getting them to met staff. Ensured that they wanted to come back on their own. The Birkby Fartown group leaders worried about how to engage with the readers. They worried that making them talk from day one could be difficult, so refocussed on hands on activities to start with and let the speaking grow organically from that. In the first case this was sewing. They needed a lot of support, but thanks to collaborations with the local school this was very successful – and ended up winning an ALW award for the work. It seemed from this the message I could take back to HE is that if you want to engage with the users you need to go out to them and engage at a time and place that suits them. This doesn’t work easily with current working practices and would require a rethink of how and why we do things. After more tea I ran my workshop on visual communication. It was a very hands on affair, since as an activist learner I believe others need to get stuck in as well, and went down very well. Certainly for the rest of the conference other delegates kept coming up to me and saying how they’d heard all about my great workshop and wished they’d gone!